In this course we plunge into Project Communications – the most common cause of project failure. They are joined by Jennifer Rock and Michael Voss, authors of the book “B.S., Incorporated.” Over happy hour, they share 5 insightful “tough love” tips on project communication, the way that only a BFF would. Thanks Jennifer and Michael! 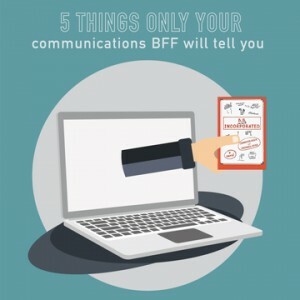 By the end of this course, you will be able to apply these 5 “tough love” tips from communications experts to better manage communication throughout your projects.